How are you all doing. Hope enjoying the weekends!! 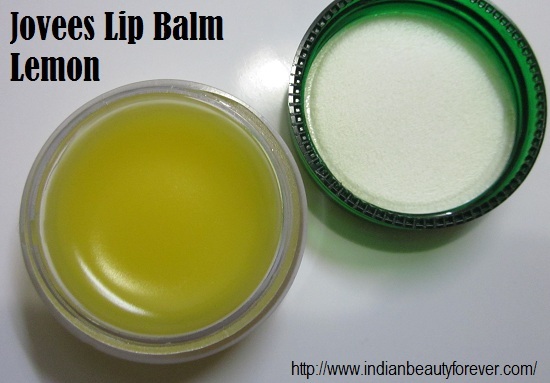 Lip balms are as important as Body lotions and face moisturizers, especially if you have super duper dry lips. 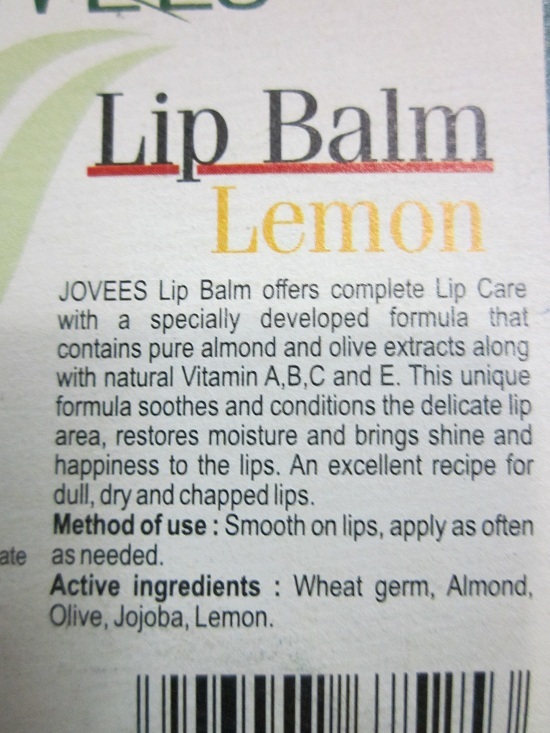 I will review a lip balm from Jovees. It is my third product from Jovees I think. First one was their cucumber toner. What a dud that was !! Anyways, But this product has not disappointed me. Rather, I am satisfied and happy with the way it works.I have already used half of it. Alright then, keep on reading to know more. Ingredients- It says that it has active ingredients like Wheatgerm, Jojoba,, olive, almond oil and lemon but what about the full list .???? 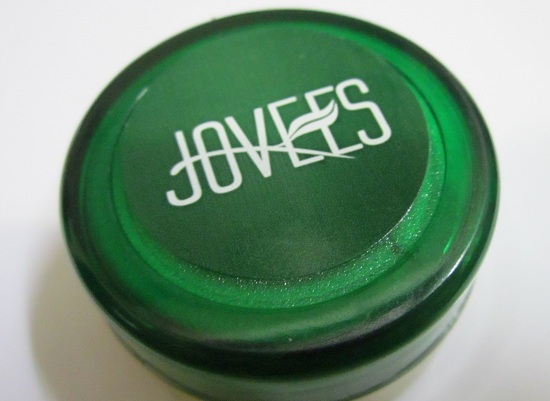 Experience- This Jovees Lip Balm comes in a tub pack and I got one in Lemon flavor. 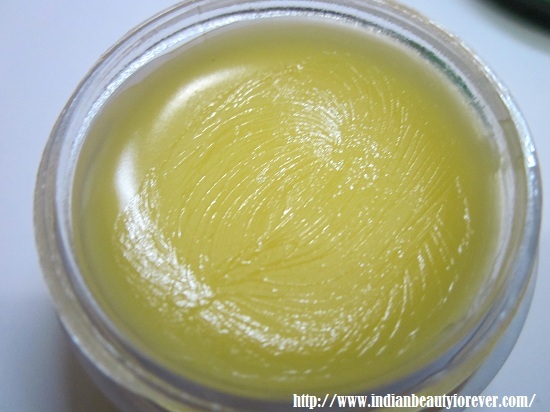 It is very pale yellow colored balm which resembles the color of a lemon skin. I would like to mention that it smells like lemons and tastes a like that too. When you apply it feels, so smooth and light but still does gives hydration and moisturizes the lip properly. I use it at night and wake up with smooth lips. I just love it for that. It has a creamy texture like Maybelline baby lips and It is colorless. There are a lot of lip balms that does a good job but if you have realized that they make you reapply them after couple of hours but I would stress that this is just ahmazing, apply it once and it will work for a longer time.!!! Till the time it is there on the lips it will keep your lips soft. A little is enough if you apply it before you lip color else the lipstick can bleed so just use a little and it will work. At night however, you can slather generously that's what i do. The only thing I do not like is its tub pack. I really do not like to dip finger. It gets into my nails and most of you will agree how annoying it is! 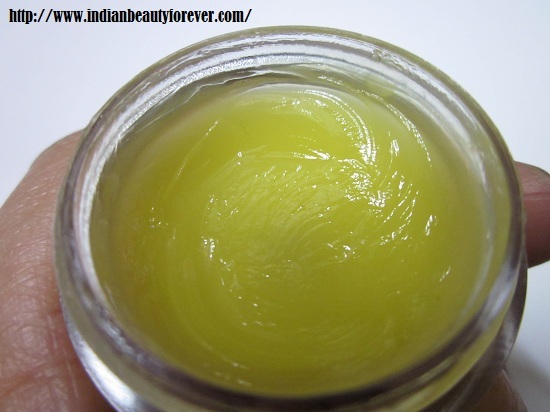 But anyways, it’s a great balm and the best too that I have used for the price Of course!! This is it's present condition have used half of it. Texture is buttery and feels good when you use it. Tub packaging annoys but not a major drawback though. Complete list of ingredients is not mentioned. 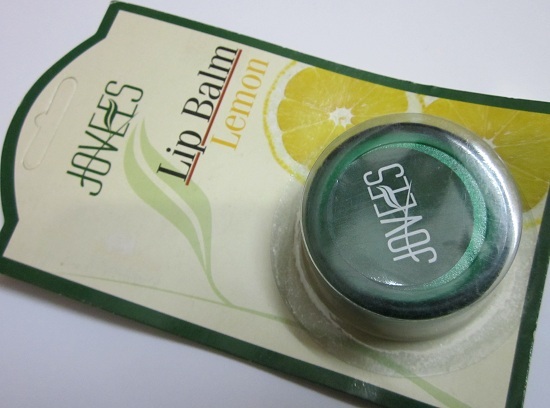 My take- Superb Lip balm at the price, very affordable and does an excellent job. Not sure what the other variants though but this lemon one is great. I highly recommend it !! I saw this at a local store....Would buy it next time. For a regular uncolored lipbalm I'm good with tubs but with colored ones I would prefer a tube packaging so it's not messy! Glad to hear that you like the quality of the balm! I love lemon things for the lips and haven't had some in a while! Exactly. even i can bear the tubs for the colorless ones which i use at night and the colored ones, i will buy in the tube which makes them easier to apply. Ilove lemons a lot in general. anything lemony is so refreshing. That sounds like a really good lip balm. I have only tried a face wash from Jovees very long ago. Would like to try this one. same here yaar, they should provide full list na. same here Rubi..:) I think most of us are lip balm lovers. Try this its good for the price.